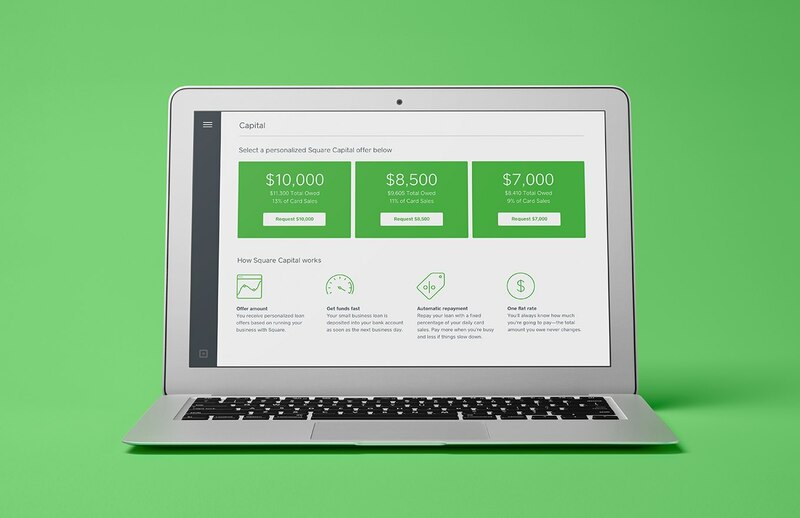 When we launched Square Capital we had a clear goal: get money into your hands quickly to help you grow your business. We eliminated paperwork and lengthy application processes so you could get the funds you need as soon as the next business day. We are now transitioning from a merchant cash advance to a flexible loan product to help us expand the program and further empower you to reach your goals. You love Square Capital — over 90% of you who have been offered a second Capital offer have accepted it — and have shared with us suggestions for how to make the product even better. For example, with flexible loans, we now offer an early repayment option, which gives you flexibility to repay when you choose. Square Capital is still as fast, simple, and transparent as ever. There is no burdensome paperwork to apply, qualified sellers can get funds as soon as the next business day, repayment happens as a fixed percentage of your daily card sales, and the cost of the loan is a fixed dollar amount that never changes. So you might be wondering, do I need to do anything different? Nope, just check your Square Dashboard to see if you have an outstanding offer through Square Capital. We love hearing about how Square Capital has helped so many of you increase sales and reach new business goals, and we want to be part of even more of these success stories. We’re excited to grow this product alongside you and your business.